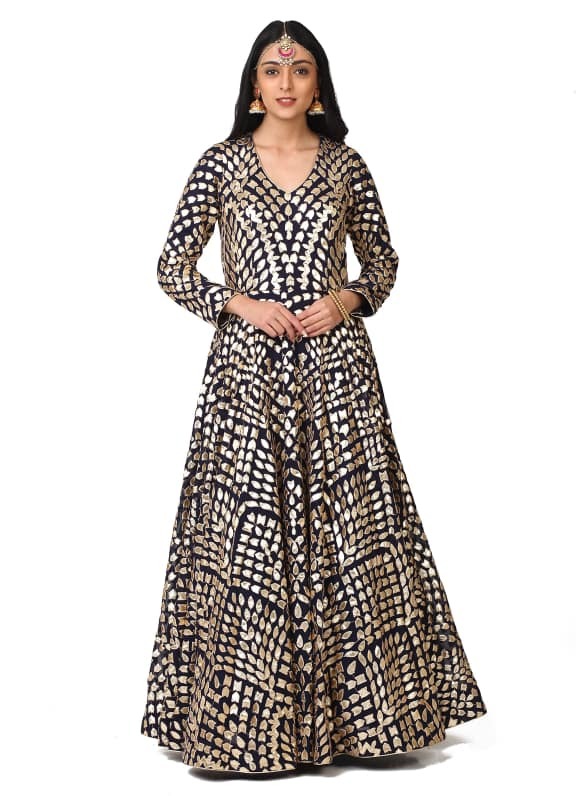 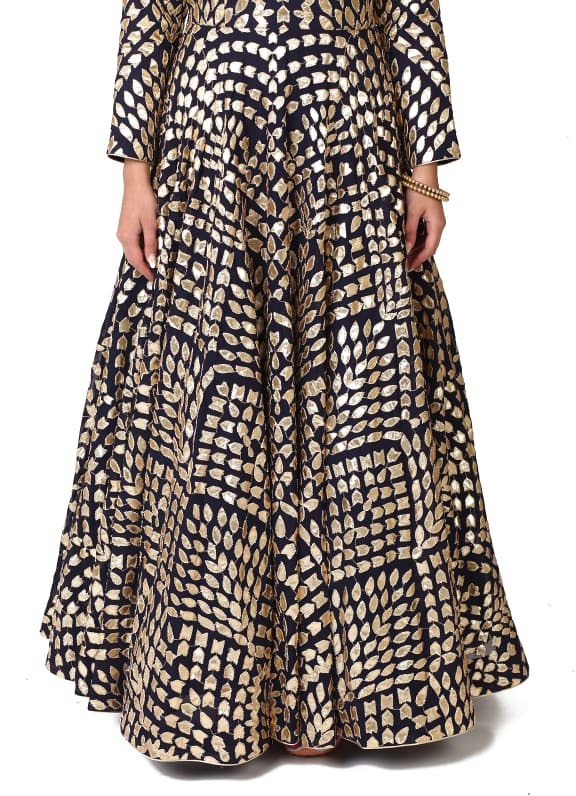 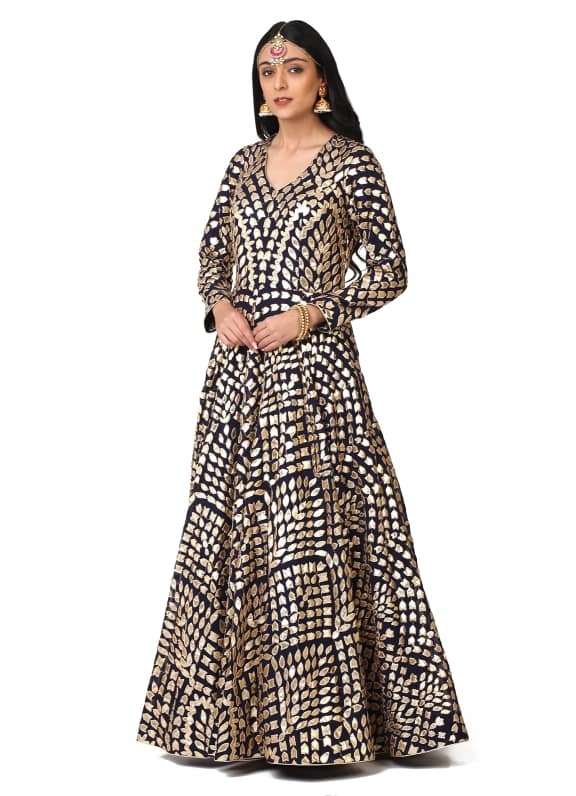 This ensemble features a floor length anarkali gown with floral gota pati work. 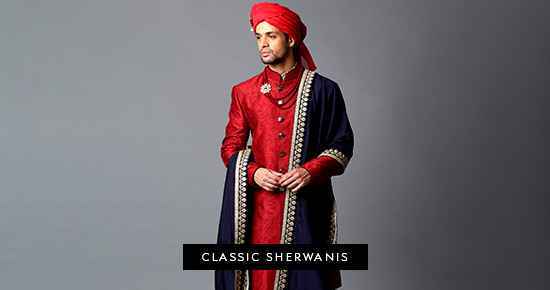 This is the perfect outfit for your wedding reception. 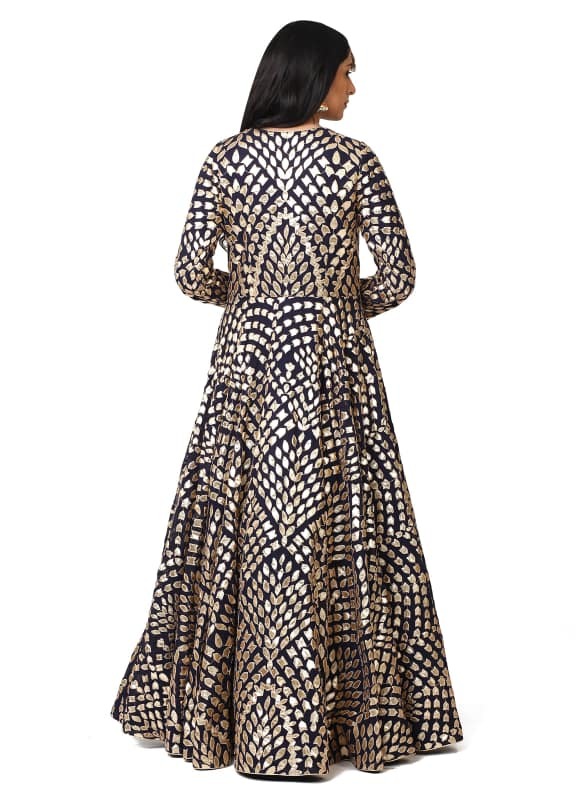 Wear this royal blue anarkali gown with a pair of earrings, bangles and maang tikka by Amethyst.